The Hertfordshire Chorus has been singing under Michael Kibblewhite, its Musical Director, since 1980. 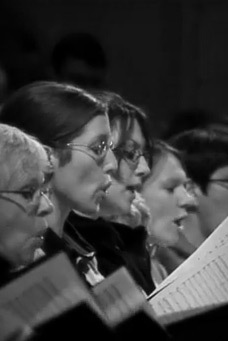 The Choir has members drawn from throughout Hertfordshire, England and beyond. They perform regularly with The London Philharmonic, English Chamber Orchestra, Britten Sinfonia, London Mozart Players, and English Sinfonia. The Chorus is enjoying a growing reputation in Britain and overseas as one of the best large choral ensembles. Their well-received recordings include Bliss's Morning Heroes with the London Philharmonic under Michael Kibblewhite, and was reviewed as "one of the finest recordings of British music of the last few years," (CD Classics). Their recording of Saint-Saens' Requiem was hailed by Radio 3 as "one of the best choral recordings of 1993." Recently the Chorus has celebrated Knight Frank's centenary in the Royal Albert Hall and performed in Israel at the invitation of the Haifa Symphony Orchestra. They just opened a month long festival of English Music in Germany by invitation of the Saarbrucken Radio Symphony Orchestra under Manfred Honeck and celebrated Rhone Poulenc's centenary in the Guildhall. The Chorus was asked to accompany Lesley Garrett in a charity Opera Gala at the Royal Festival Hall and performed the raucous Carmina Burana at a Barbican concert for Save the Children (attended by HRH The Princess Royal). Having given concerts in the Duomo and San Lorenzo Florence, San Marco Venci, Notre Dame Paris, Chartres and Rheims Cathedrals, this is one in-demand choir!